Discover Peru’s sacred land of the Incas. Visit Lima, the Amazon, Cuzco, Puno, Lake Titicaca, trek the Inca Trail and cross the border into Bolivia’s La Paz. Travel to Peru and discover the secret land of the Incas as you journey along the coastal shores of Lima, travel beneath the Amazon Jungle’s lush canopy, past the llama-filled plains of the Sacred Valley and beyond to tiny colonial towns. 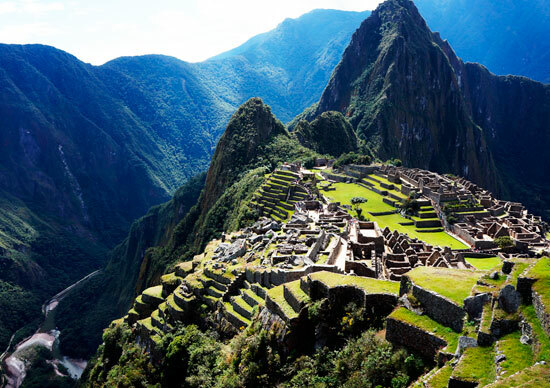 Embark on an adventure of a lifetime along the Inca Trail, trekking to Machu Picchu. 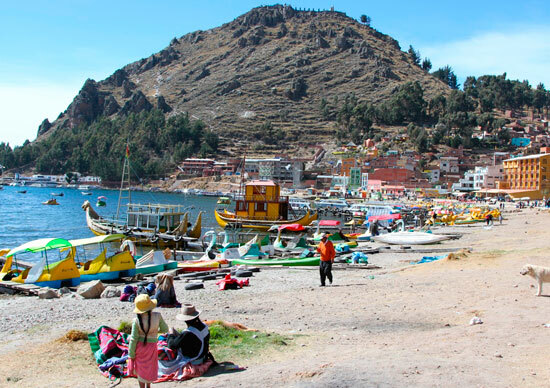 Head to the dizzy altitude of Lake Titicaca before journeying to Bolivia and immersing yourself in the history of La Paz. This insightful adventure through Peru is sure to leave you astounded by the magic and mystery of the sacred land of the Incas. Arrive in Peru’s sprawling capital, Lima, and unravel its fascinating history on a walking tour around the city’s major sights. The vibrant suburb of Miraflores is full of cafes, bars and restaurants, so why not use the free time to sample some local culinary delights. Fly to the frontier town of Puerto Maldonado and travel by canoe into the dense Amazon Jungle. 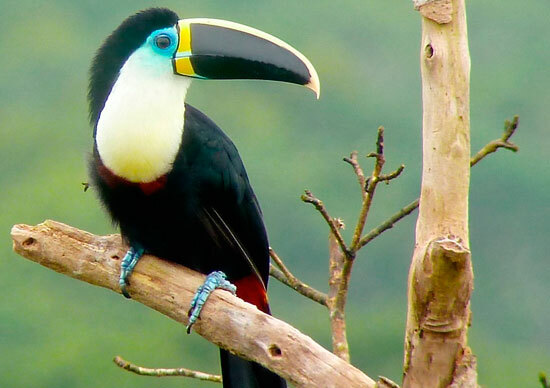 Macaws, monkeys, peccaries, jabirus, otters and thousands of butterflies all coexist in this amazing ecosystem. Learn about the medicinal properties and practical uses of native plants from a local guide. If Lima is Peru’s head, Cuzco is definitely the country’s heart and soul. A town perfectly suited to exploration by foot, discover the central plaza’s ornate colonial churches and then head for the impressive Inca ruins dotting the city’s outskirts. Travel by private bus through the lush terraces of the Sacred Valley, stopping en route at a local village to gain an insight into traditional Inca culture. Meet friendly locals on a community visit before spending the night in the ancient town of Ollantaytambo – one of the few places where the Incas defeated the Spanish. Accompanied by porters, cooks and a local guide, embark on a four-day trek along the iconic Inca Trail. Take in the astounding panoramas on offer along the high plateaux, hike through dense forests and stop to observe the crumbling ruins of ancient villages and temples. After all that hard work, take some time to explore awe-inspiring Machu Picchu – an unforgettable sight. Get reacquainted with Cuzco, browsing the food stalls of the central market, picking up some colourful woollen garments or soaking up the atmosphere in one of the town’s many quaint cafes. On the border of Bolivia and Peru, Puno and mystical Lake Titicaca are nestled 3,800 m above sea level, making Lake Titicaca the world’s highest navigable lake. Cruise to the incredible floating Uros Islands, constructed entirely from reeds, and sail to Taquile Island, where the community’s men craft handmade woolens. Make new friends and enjoy local hospitality on a family homestay. Travel to Bolivia’s capital, La Paz, and hit the markets for some souvenir shopping. Don’t miss the Witches’ Market, which sells a quirky collection of herbs, folk remedies, amulets and other items used in traditional rituals. Notes: A single supplement is available on this trip. On the following nights the single supplement is not available: – Days 2-3 Amazon Jungle Inca Trail permits are sold on request basis only. Once deposit is paid and passport details provided, Intrepid will endeavour to secure a permit for you. If Inca Trail permits are unavailable by the time you book, you can opt to hike the Inca Quarry Trail instead. The Inca Trail closes in February to allow cleaning and restoration works. If the trek portion of your trip starts in February you will be automatically booked to hike the Inca Quarry Trail. Should you choose not to hike at all, please let us know in writing at the time of booking so alternative arrangements can be made. Without this prior warning, local fees may apply. Important information regarding new regulations and booking procedures for the Inca Trail to Machu Picchu.